Katherine Dennis, a Vancouver-based curator and researcher, has worked with a range of institutions, from historic houses to public museums and independent galleries. Her practice bridges disciplines including exhibition making, public programming and visitor studies, and places such as British Columbia, Alberta and Ontario. Projects often focus on site-specificity and are built on collaboration and the commissioning of new works. In 2012 Katherine won the inaugural Middlebrook Prize for Young Canadian Curators, a national social innovation award and exhibition opportunity for curators under 30. For the Middlebrook Prize, Katherine curated as perennial as the grass (2013) with artists Amalie Atkins, Brian Cauley, Katherine Ruppert-Dazai and Ellyn Walker. This year Katherine was honored to be part of the Jury for the third granting of this important prize. She is also the co-curator with Noa Bronstein of Memories of the Future, an ongoing project that invites contemporary artists to intervene in historic house museums. The inaugural Memories of the Future opened in September 2014 at Gibson House Museum with artists Sara Angelucci, Robert Hengeveld, Eleanor King and Matt Macintosh. Katherine has written for a range of publications including Museologies, a peer-reviewed journal out of Concordia University, the Canadian Museums Association magazine MUSE, Kapsula and Carbon Paper. 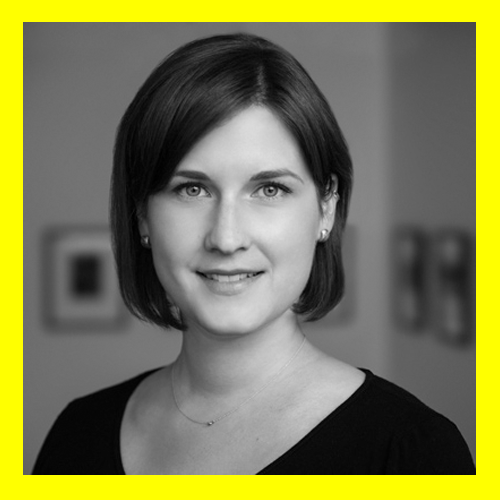 Currently, Katherine is the Adult Public Programs Coordinator at the Vancouver Art Gallery and Research Associate at Pivotal Research Inc in Edmonton. She holds a BFA from the University of British Columbia and an MFA in Criticism and Curatorial Practices from OCADU.